@MCF I've added https://github.com/mysensors/NodeManager/issues/203 to track this request. Feel free to add any relevant comment or code samples to the issue. Thanks! @ArduiSens RS485 should be already there in the development version (https://github.com/mysensors/NodeManager/tree/development). Nothing special, I've just added to config.h some sample directives, commented out by default. Let me know in case this approach can be improved. Thanks! @user2684, found the RS485 settings (thanks), but having problems with disabling the BATTERY_MANAGER option. We don't need this option in a RS485 serial wired network (or RS485 serial gateway). @ArduiSens thanks, good catch, this looks like a mistake on my side, keep on eye on https://github.com/mysensors/NodeManager/issues/206 for a fix which should come shortly. OK, DS18B20 and SR04T are not the same but DS18B20 is less complex, so 38% more memory is pretty much. @ArduiSens for curiosity, what board are those numbers from? NodeManager is a young project. You can expect changes and optimizations in the future. And also you can do suggestions and pull requests. @Sergio, I know and it's OK. I'm just playing (trying to convert my RS485 projects). In the cases above I'm using Nano boards. How to add i2c sensor? I see that there is a git issue asking about si7021 which I would also like to use as well, but has someone perhaps connected it already by creating a custom sensor? Hi, obviously a lot of work gone into NodeManager thanks, I'm quite new to MySensors but have started working on.a few sensors around my home. The two functions NodeManager::_saveConfig and NodeManager::_loadConfig are used to save the _sleep_time value to EEPROM. The code splits the long value into 3 parts by dividing by successively 255 . On loading the value is reconstructed by multiplying by 255. I'm pretty sure that you meant to use 256 to split the long value into three independent bytes to store. Dividing or multiplying by 255 is potentially expensive whereas dividing or multiplying by 256 is much faster simply requiring shifts. uint8_t byte2 = (_sleep_time >> 16) & 0xff; // as before should still be a byte load. I am not an expert in in the AVR architecture or instruction set so maybe there is a good reason why you are using 255 instead of 256 - it just seems strange! I have started to play with nodemanager and I have registered a SENSOR_DS18B20. Nodemanager handles all the heavy lifting and the sensor is reporting the temperature 100%. I can change the sleep and report intervals with “setReportIntervalSeconds and setSleepSeconds”. According to the MySensors documentation (https://www.mysensors.org/download/serial_api_20#variable-types) a S_TEMP sensor can report the V_TEMP value and a V_ID value. Nodemanager populates the V_TEMP variable, but how can I populate and send the V_ID value? If I want to add an additional sensor I must register it with “registerSensor” and I would set the report interval for this sensor by getting a pointer to this sensor with “getSensor”, but how do I add custom code for this sensor in Loop()? How do I ensure that the custom code is only executed for this sensor and not for the other sensor? @user2684, Will you like to consider adding a #DEFINE to let user configure PowerOn function to select "GND-On" or "Vcc-On" (5V0)? For devices that require more than ~10mA current (~Arduino pin current) this GND-On configuration can help externally supplied higher powered V+ current to switch the devices! Thus, will also help 3V3 devices to be controlled by PowerOn, of course, with external 3V3! I just started using NodeManager, mainly for the ability to send settings to the node. I started with a plain analog (Voltage) sensor, and it works just fine. But I cannot make a DS18B20 sensor to send any temperature data. It registers on the gateway, and that's it. I have enabled the DS18B20 module in the config.h. @kted I think you forgot the pin to which the sensor is attached to. e.g. @user2684 Actually, you are right. Thank you. But shouldn't the compiler throw an error? @kted Such functionality it's supposed to be hard-coded in the node sketch. But if you want to make it modificable from Domoticz, perhaps you can make use of the V_VAR1-3 variables and modify them in domoticz, receive them in the node and pass to NodeManager. @user2684 I have looked at the changes in https://github.com/mysensors/NodeManager/pull/174 which incorporates an alternative improved implementation for the _LoadConfig/_SaveConfig functions (interesting that using an intermediate union requires less code than my shifting version- presumably due to differences in the way the GCC optimiser works for an AVR target). I spotted a coupld of minor points and was also able to further reduce the code size. There is also a typo - the original had a member called byte_arrray instead of byte_array. @graham86 I guess you are referring to https://github.com/mysensors/NodeManager/pull/217, not 174, am I wrong? Anyway, any contribution that would help saving bytes is more than welcome: NodeManager is becoming more and more complex and the situations where we are out of storage start increasing so we definitely need to save whatever wherever we can Regarding what you are proposing above, keep on eye on PR #217; once a new one dedicated to this part of the code will be created as discussed there, feel free to add your own PR to that branch or just let me know and I'll do it for you. Thanks! @user2684, Sorry, couldn't revert to your query earlier as i was away building a small library. A simple switch will complete a circuit whenever its switched ON. This allows for placing the switch on the ground return wire too. So only a single GND-ON (Switched ON) will complete the circuit (without requiring an additional Vcc-ON switch). Also, with the current 2Wire PowerOn methodology, the VccPowerOn switch can provide only one positive voltage (that provided by Arduino Vcc, say +5V0) but not +3V3 (say) to the sensors. If some attached sensors require the other voltage (+3V3), then, this 2Wire PowerOn method will not help. Whereas, a single GND_On power methodology will still switch the circuit thus managing the Power to those sensors too. I think this simple feature will add on to the power of the PowerManagement functions. @vikasjee thanks all clear now! I'll track this with https://github.com/mysensors/NodeManager/issues/224. Thanks again for the detailed explanation! @user2684, Can we have a quick hot fix? @vikasjee sure, as soon as I'll be able to understand the reason why it crashes when MY_DEBUG is not defined if somebody from the core team has any hit, would be really appreciated! I'm afraid that issue 223 is not a NodeManager failure. I can reproduce it in a new sketch without using NodeManager. Other issue with MySensors are, NRF24 doesn't link with controller. If MY_DEBUG_VERBOSE_RF24 is defined, it automagically works. @Sergio-Rius, with RF24_VERBOSE on, the system crashes in 40-50 seconds especially if you're connected to the serial monitor or if your serial gateway has this #DEFINE on. Still more strange, suddenly started to work properly on 2/3 of my testing nodes. That killed me. What about the gateways you are using? And the controllers? I'm having trouble with the motion sample code. I have changed the setSleepHours(1) command to setSleepMinutes(1). I understand that the sensor will send a hart beat every 1 min. This is working fine for the hart beat, but evertime the hart beat is send the sensor sends a Trigger messages as well even though the sensor is not triggered. I thought that maybe there is a power dip and that it might cause the PIR (RS501) to send a interrupt, but I have removed the setSleepMinutes command and replaced it with a setBatteryReportHours(1) command. This command is send correctly and the sensor only sends the trigger command when the PIR is triggered. Did anyone have a similar issue? @user2684 can you add support for the Si7021 sensor as found in sensebender micro? how do i register a sensor that is onboard? you ask for a child id and pin that it's on. but if it's an onboard sensor. how do you make that work? just omit the pin? After a few months working behind the scene, NodeManager got kind of a full review in terms of architecture and usability. The code should be now simpler to understand for new users, the memory utilization has been optimized and the overall user experience has been improved. The looooong list of things that have been changed are detailed on https://github.com/mysensors/NodeManager/pull/229. Please note this is only available in the development branch (https://github.com/mysensors/NodeManager/tree/development) and will be generally available only when NodeManager's v1.7 will be released (it will take I guess still a few months). Since this change was blocking other pending changes, I hope now the development will be faster and feel free to submit your PRs now that the new architecture has been finalized. @user2684 Thanks a lot for the architecture change, which makes a lot of sense conceptually. Unfortunately, it appears to use more memory than before. I'm working on an air quality board with eight MQ sensors, an MH-Z19 CO2 sensor and a Plantower PMSA003 particulate matter sensor. In previous development versions (1.7-dev, before today), the eight MQ sensors and the MH-Z19 worked fine, but now after your big merge of #229 the sketch appears to run out of memory after adding the child of the sixth MQ sensor. Do you see any chance to optimize for memory? That sketch runs out of memory with the sixth MQ sensor (I added debug output with free memory at a lot of spots). Of course, I have commented out the PMSA003 completely to have a correct comparison. @reinhold if you have high memory requirement, what about switching to a more modern architecture like stm32f103c8t6 on the famous "blue pill" boards ? It has 20k or RAM (10 times what you have on Arduino) and 64k of flash and it's supported by MySensors, in addition to be very cheap (2$/board). 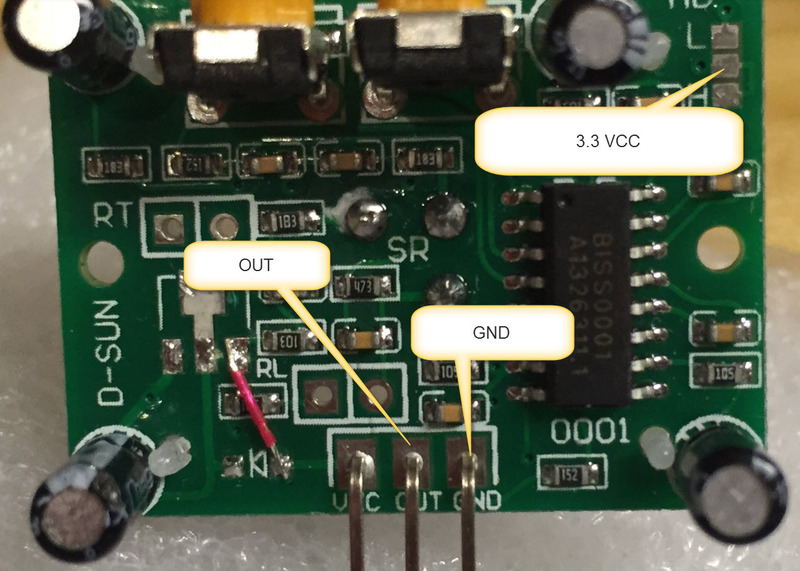 You will need voltage converter between 3.3V of the board and 5V of your sensors but that's not a big deal in exchange of the possibility to expand your board with more sensors in the future. Still, for now I have the PCBs with the ProMini, so I'll try to strip down the Sensor or SensorMQ classes for my own use. node.setSleepSeconds(5); node.setReportIntervalMinutes(10); would be the correct way to setup NodeManager to take measurements every 5 seconds, but only report it every 10 minutes to the network. Unfortunately, Sensor::loop(MyMessage* message) seems to immediately return without measurement if the reporting timer has not elapsed. Somehow I don't understand that logic. Why have different sleep and reporting intervals when measurements will only be taken at reporting intervals anyway? I would expect measurements to be taken with the sleep intervals (e.g. to calculate an average over the whole reporting interval) and report back to the network using report intervals. Thanks @mfalkvidd , I'll give the directives you pointed out a try! @reinhold you're right, assigning the child_id before calling node.before() does not work. The way to go would be to have all the methods being called before node.before() and the child_id assigned just after. Not very intuitive, I probably need to find a completely different and a better way to do so, probably by creating the Child in the constructor instead (reopening https://github.com/mysensors/NodeManager/issues/198 for this). Regarding setSleep and setReportInterval, measurement are driven only by setReportInterval. Those are different because there are situations (e.g. relays, motion sensors) when you have nothing to report but you want the capture the heartbeat from sleep(). What you are looking for is something I never considered which is actually a pretty nice idea (taking measurements over a given time period and than reporting at the end). I've created https://github.com/mysensors/NodeManager/issues/243 for this. With the new architecture, since keeping already track of the average within Child, should not be so difficult even if would probably require an additional Timer. Thanks! @user2684 Thanks for the spreadsheet with your memory footprints. Are these the sketch size and the free memory that the compiler reports? Or do you measure them when running the sketch (i.e. including all dynamically allocated variables in SRAM)? Also, one problem you don't seem to have covered is heap fragmentation. Particularly your new List class seems to be prone to heap fragmentation with a large number of sensors: each time a sensor is added, the list needs to re-allocate the memory for its pointers. The old memory will be released, but it will remain as a hole in the memory, where new variables might be allocated. However, the next time you add an element to the list, the new pointer array can probably not re-use some of those freed holes. I'll provide a PR (https://github.com/mysensors/NodeManager/pull/247) that adds an allocateBlocks(count) method to the List, which can be used in the sketch and in the sensor's onSetup methods to pre-allocate the required sized. In turn, the _preAllocBlocks member does currently not serve any purpose, and I don't think it's really required functionality. In my eyes, it's more important to ensure that at a certain moment the required memory is allocated. It is not neccessary to keep a minimum nuber of blocks allocated at all times. For a node with 10 physical sensors (and maybe one or more built-in sensors), this will save at least 22 bytes (1,1% of total SRAM!) and probably reduce heap fragmentation by quite a bit. Apart from that, I simply stripped down the SensorMQ class and removed all configurability for my own use (don't worry, I won't submit this as a pull request... it is simply meant to squeeze the sketch onto the pro mini with the boards that I have already built). BTW, the SensorConfiguration is no problem as far as SRAM is concerned (it just adds the normal SRAM footprint of a Sensor instance): It has no class members of its own. Only the flash size is considerable, but for me this is not the issue, I'm running out of SRAM. @reinhold I measured only what the compiler reported. Main focus was to reduce the flash size, I honestly ignored any potential SRAM issues which is bad Thanks for the hit and for the great contributions and PRs so far. You're right about the List class and especially when the number of items is known, there is not reason why not allocating the blocks beforehand. I will merge your changes as they are and then take it back and adjust something (e.g. make the number of block you are passing to "node" optional, moving child creation into the constructor, always allocating the blocks for children in each sensor, generalizing a bit more the NO_MODULE thing etc.). Thanks again! @user2684 Great news! I will give that a try shortly. The SensorSwitch/Door/Motion all work on interrupt pins only ? Sorry if I've misunderstood the code, thats possible. Great library, looking to convert other things to use this. For the SensorDimmer, each sensor has only one type set so a dimmer can't receive v_status & v_percentage messages. I've worked around this by registering two sensors at the same Analog out pin. But they don't then have access in a nice way to the status of each other as values are changed. So if I turn the led on/off via the v_status message I can't preserve the previous percentage, set by the other v_percentage sensor. Perhaps some enhancement on the SensorDimmer class could do this ? in ModeManager.cpp (if (message.type != _type) return;) inside Sensor::recieve.... isn't that too restrictive ? @rfm69 you're right, this also came out a while ago. I was sure we had an associated issue on github for this but it doesn't look like. Here's the new issue for your reference https://github.com/mysensors/NodeManager/issues/296. Implementing this in v1.6 is really challenging but with the new v1.7 architecture of the development branch should be way easier since all the children share the same variables. Thanks! @user2684 Thanks, I've implemented something myself with changes to the library, just playing around to understand it better. But will look at the SensorSonoff you mention. Thanks again, its a great library. Had a quick look at 1.7 dev branch is this ready for using already, testing or trying, or have you got more to do before its refactored etc ? I was interested in looking what the changes in architecture were. @user2684 in the sensebender sketch we turn on digital pin 7 to provide power to the LDR to read it. i have many sensors in my house and would rather not re-wire all of them. how can i add this cleanly in nodemgr to make it work as before? when compiling (nodemanager actual version, arduino IDE1.8.5). Even no other sensor works. What is the reason, can anyone help me? @cpl_ir super weird, looks like the linker cannot find NodeManager's object file. Are you sure all NodeManager's files are within the same directory? NodeManager cannot be installed as a standard Arduino's library but all the files need to be in the same directory of your main sketch. Thanks! this is all good, however for my application it would be useful if it were to also send a V_VOLTAGE battery measurement along with the V_TRIPPED event. I'm not yet completely familiar with how the nodemanager sketch links together, but is it possible for the sensor readings for all sensors to be sent on an interrupt from any other sensor so I can make use of the radio as much as possible? is there a possibilty to only send values if the value has changed? @felix-haverkamp the signal node is supposed to send the RSSI when the radio supports it. What you are looking at is a v1.7 bug, fixed in the dev branch of v1.8. If you want an easy fix without the need to upgrade, just remove the uint32_t cast at line 5017 of NodeManagerLibrary.ino (https://github.com/mysensors/NodeManager/blob/master/NodeManagerLibrary.ino#L5017). thx, that is what was what i am looking for. Just when it changes (1 second) and only when it changes. @user2684 i just mean, we have to put this is the documentation. the Motion Sensors doesnt reset. I checked with my old Motion sketch and everything is fine. Only sends the Value "1". @felix-haverkamp got it, thanks, I've opened this issue https://github.com/mysensors/NodeManager/issues/366. Every new version of NodeManager, I try to review and hopefully improve its architecture. This time looked like a simple and quick task but eventually ended up in a complete and deep review of the code. Many many many things have changed with the main objective to better integrate with the MySensors library and simplify the life of users willing to contribute or to add support for new sensors. The new file structure (with a dedicated file for each supported sensor) and the way the package is delivered (as an arduino library now) go into this direction. There are also included a good amount of new features but still in most of the cases, resulting a smaller code. All the details are available at https://github.com/mysensors/NodeManager/pull/391 which will be merged into the development branch shortly. Due to the many changes, if anybody would be willing to give it a try and report any bug, would be really great. Thanks! Just wanted to say that NodeManager is awesome. I can't believe I only now really had a better look at what it is. I always thought it was some kind of software you had to install, and that it was used by professionals to manage complicated sensor nets. For the last few months I've been thinking "wouldn't it be useful if there was some kind of beginner friendly web interface where you could select which devices you want, and then it creates the code for you". This is so close to that. Thank you for this incredible work! @alowhum many thanks for the feedback, really appreciated! Is it possible to "force" send SensorDoor value regularly? I am using magnetic sensor together with interrupt feature but when sensor status is change too fast before main loop is finished, sensor value remains in wrong state until magnetic sensor value is physically changed again. But it does not work in this case. Value is not reported based on this interval. Only way how to get SensorDoor value back to right state is physically change its value (open/close magnetic sensors). Btw Nodemanager is really awsome. Great work! Situation: Arduino ist connected to an raspberry gateway with openhab -> works just fine. To the arduino I have connected a PIR on 3 and a photoresistor (LDR) with an 10k resistor on A0 -> works just fine. On first boot (after connecting etc.) the arduino sends motion status + LDR value. But after that first msg. only the motion (tripped) is send. What I want: I want that the arduino sleeps until there is an interrupt comming from the PIR and then sends the motion status+light value (LDR) and then sleeps again 4ever until the next interrupt. ok, I have solved it myself - the PIR made all that trouble. I did connect the PIR on 3.3V (similar to https://forum.mysensors.org/uploads/upload-4bdca27e-3c36-4c68-9e54-947b9f4717b4.jpg). Anyways - you surly would have helped, if i would not have found it. Great forum! @jiri-hron I think you can achieve what you need by using FEATURE_TIME. In this way when woken up, NodeManager will go back to sleep only for the remainder time left. Not ideal but I couldn't find a better way to understand for how long the node has been sleeping before the interrupt. @iteafreely your understanding is correct. I see two options here: you can either create a new custom sensor inheriting from SensorDoor and adding an additional child and the extra logic you require or create two instances of SensorDoor and playing with hooking functions to make one checking on the other. In this latter case you probably need some additional variables to keep track of the status. @iteafreely Not sure of software issues as I don't use NodeManager, but your use-case indicates you do not need to know which door is opened, only that one or both is/are. If by magnetic sensor you mean magnet/reed, would a single reed where both doors meet, or two reeds (one on each door end) wired in parallel, to a single interrupt pin not provide this? @reinhold just for completeness, that "DOOR" can be customized too by calling setDescription() of the (only) child of the SensorDoor instance. Thanks! @mhofer a few issues came out with conditional reporting during some recent tests, https://github.com/mysensors/NodeManager/pull/430 just merged into development should have solved them. Could you please give it a try? Thanks! Hello all, NodeManager v1.8 is almost ready and likewise with the previous releases I like to give brave users a few weeks to test it out before actually releasing it. If you are one of those, download it from https://github.com/mysensors/NodeManager/tree/development; for a full list of changes, have a look at https://github.com/mysensors/NodeManager/projects/2. Of course feel free to open a ticket on Github for any issue you could come across. Thanks! It doesn't work for me. I have Ethernet Gateway and a 1wire Tempsensor node. Both flashed with the sketches from tutorials found on the mysensors.org website. Those are working without any problem. Now I have Tsl2561 Lux sensor. This is supported by nodemanager. Just downloaded the latest dev version uncommented two lines as expected, but it the node won't appear. Now what's wrong, what's missing? Did same body the port on Intel Edison? Arduino IDE is not finding SerialPort.h ? @maddinthebrain sorry for the huge delay...would you mind sharing the logs? Also feel free to open an issue on https://github.com/mysensors/NodeManager/issues with the logs. Thanks!